Klaudius Šilhár is the President of Association of Adult Education Institutions in the Slovak Republic; and an Assistant lecturer at the Department of Andragogy, Comenius University in Bratislava. 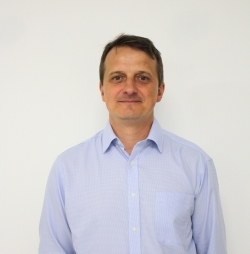 He has been working in adult education since 2000, for 12 years at the Academy of Education, which is the biggest adult education center in Slovakia, 3 years in private companies (die Berater, Trexima), and 6 years in Comenius University. Since 2011 he is the president of the umbrella organization – Association of Adult Education Institutions in the Slovak Republic. He has a Doctorate in andragogy with a dissertation on Specificity of Quality Management Systems in Adult Education Institutions. I believe that enhancing the cooperation of civil society and strengthening of adult education could preserve and develop democracy and citizenship. This is needed nowadays. I want my children to live in democracy.